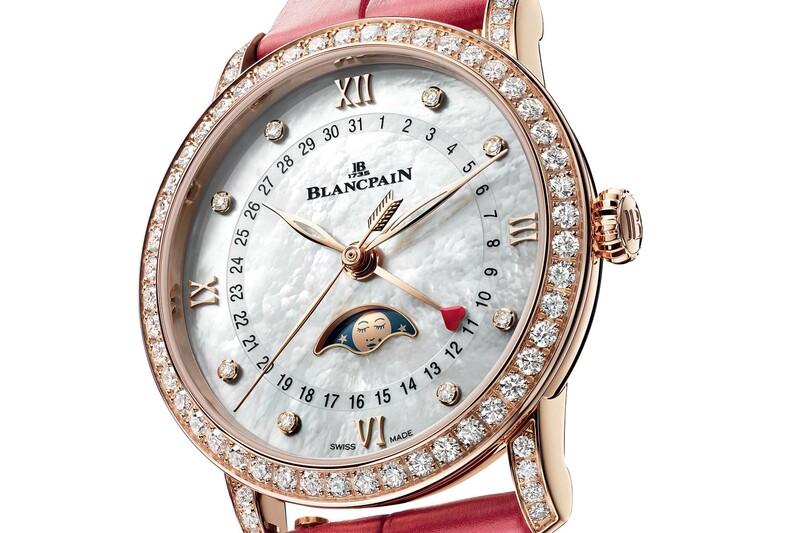 Blancpain has a flair for offering women watches that look feminine without stinting on the mechanics. 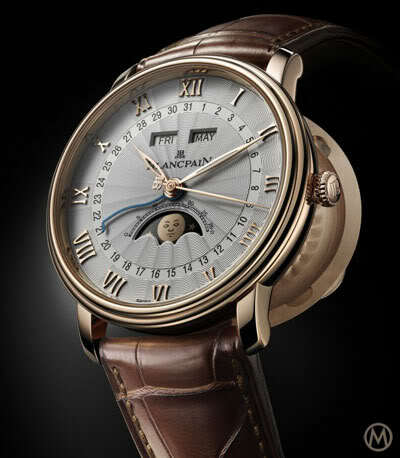 In fact, this particular watch flaunts two complications and reveals its mechanical heart on the reverse side. 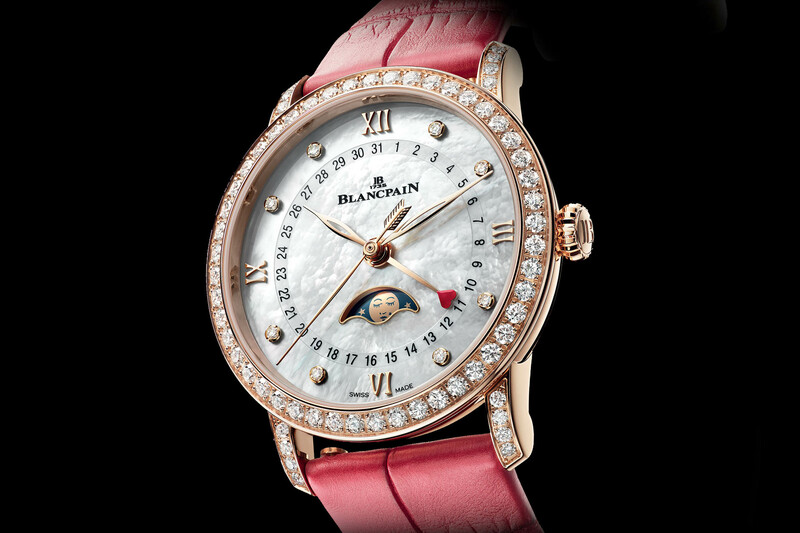 With Valentine’s Day just around the corner, Blancpain releases a special edition of its Villeret Quantième Phases de Lune. Equipped with the brand’s hallmark calendar and moon phase complications, the 99 watches for Valentine’s Day are dressed up for the occasion with romantic details. The Villeret Quantième Phases de Lune Valentine’s Day edition comes in a 33mm red gold case set with 64 brilliant-cut diamonds. Although previous models have featured diamonds on the bezel, this limited edition has added diamonds on the lugs for extra Valentine Day sparkle. 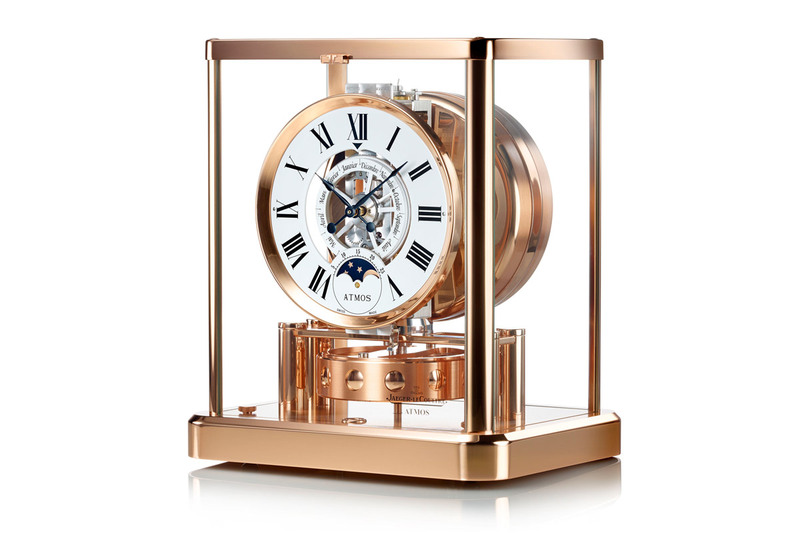 For those of you familiar with the Villeret Quantième Phases de Lune, you will recall that the case was updated in 2018 and the size increased from 29.2mm to its current 33.2mm diameter. This increase in size meant that what was once a dainty women’s watch was repositioned as a more contemporary-sized women’s watch. 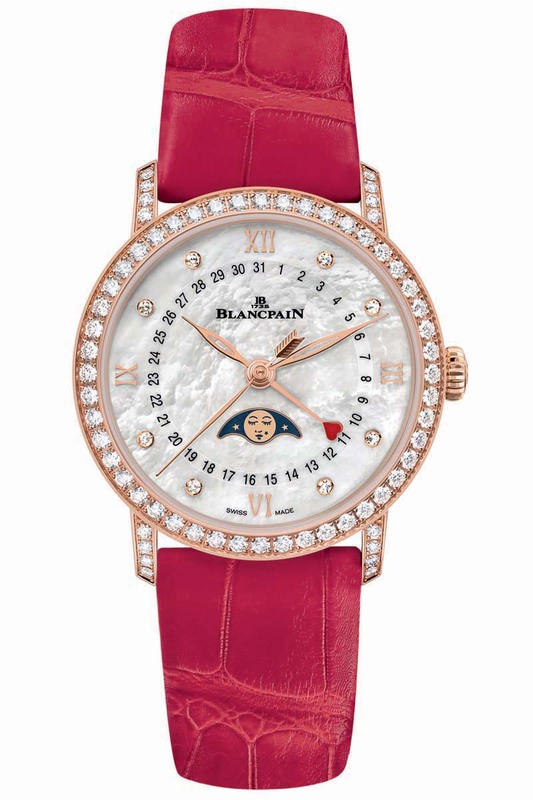 Crafted from natural white mother-of-pearl, the dial radiates an iridescent sheen and features the classic configuration of four Roman hour markers applied in red gold (at XII, III, VI and IX) and eight diamond indices. To celebrate the 14th of February, the hand reading the radial date display is tipped with a bright red lacquered heart and the counterweight of the central seconds hands features a representation of Cupid’s arrow. The elegant hands are openworked to reveal the cloudy texture of the mother-of-pearl dial, which features an aperture just above 6 o’clock to house the moon phase function. 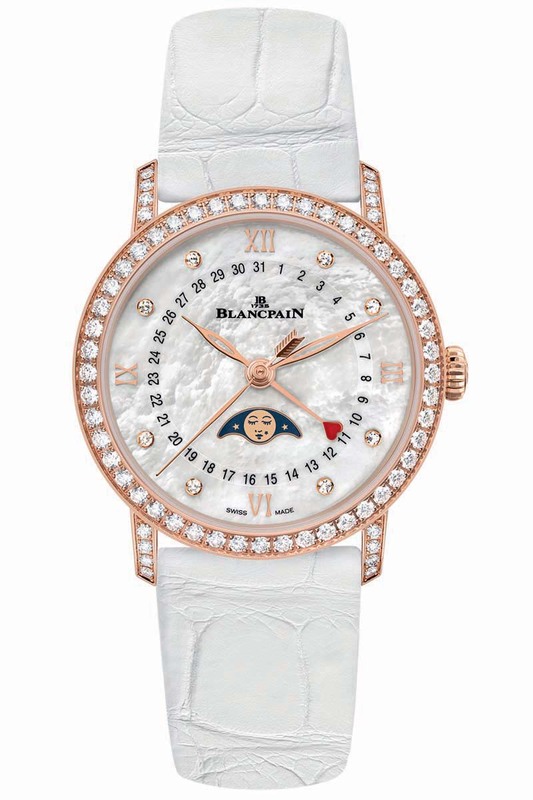 Blancpain’s interpretation of the Moon is unique and if you look closely you will see that the Moon has eyelashes and a coquette beauty mark close to the lips. A nod to the artificial moles that were all the rage among society women in 18th-century France, these adhesive beauty spots were known as mouches, or flies, and came in all shapes and sizes. 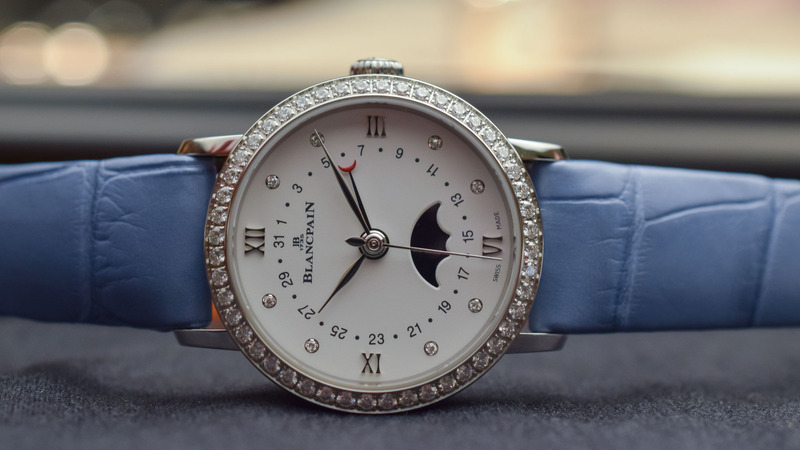 Framed by a rounded-shaped aperture with a golden rim, Blancpain’s moon phase indicator is driven by a wheel with 59 cogs that completes two complete lunar cycles of 29.5 days, and as such means that two moons are painted on the disc. The mechanism advances once a day, at around 6pm by a gear similar to that of the date indication. An evolution of the women’s calibre 953, the automatic calibre 913QL has a 23.70mm diameter and has been upgraded with a high-performance silicon balance spring and a Glucydur balance wheel with gold micrometric regulating screws. 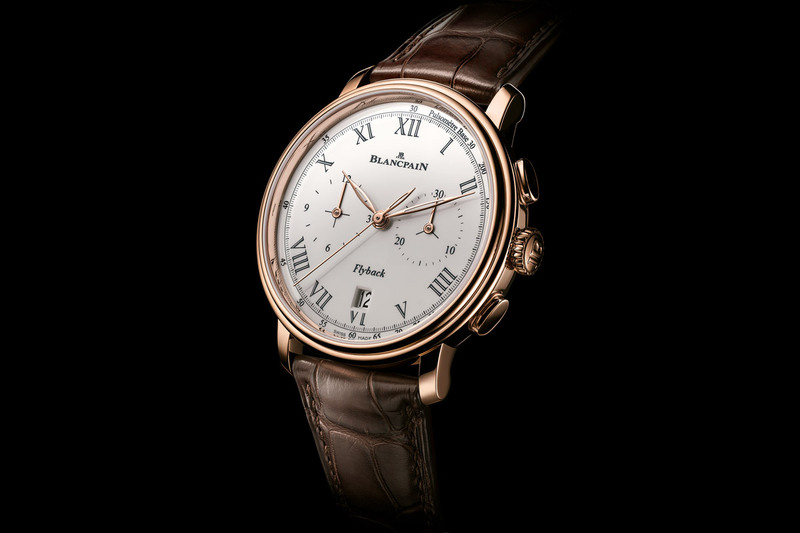 Produced by Blancpain, the movement comprises 246 parts and has a power reserve of 40 hours. The incorporation of silicon and Glucydur make the watch more shock-resistant and protect it from magnetic fields. 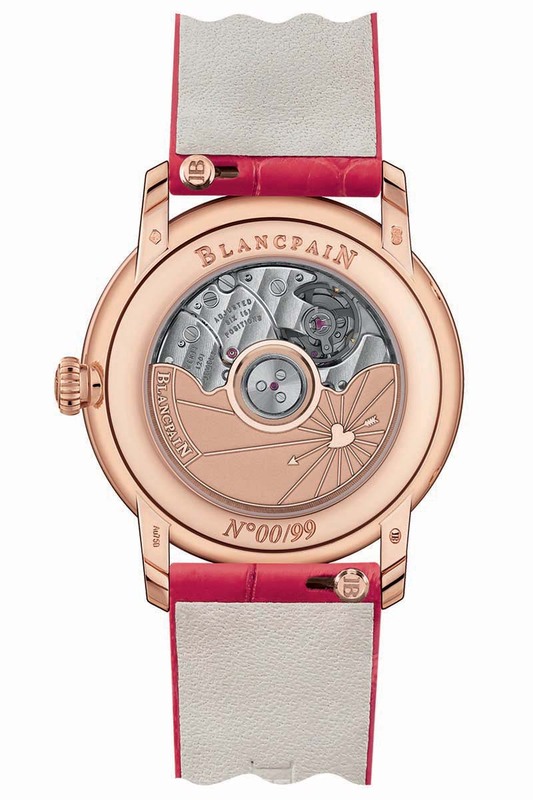 The sapphire crystal caseback reveals the red gold oscillating weight, which for the occasion has been decorated with a heart traversed by Cupid’s arrow. The flat bridges are decorated with Côtes de Genève while the base plate features circular graining. In keeping with the trend for interchangeable straps, the Villeret Quantième Phases de Lune comes with a clever and easy-to-use DIY system. By sliding the two catches at either end of the strap, you can change the red alligator strap for a more discreet white alligator strap in a jiffy. 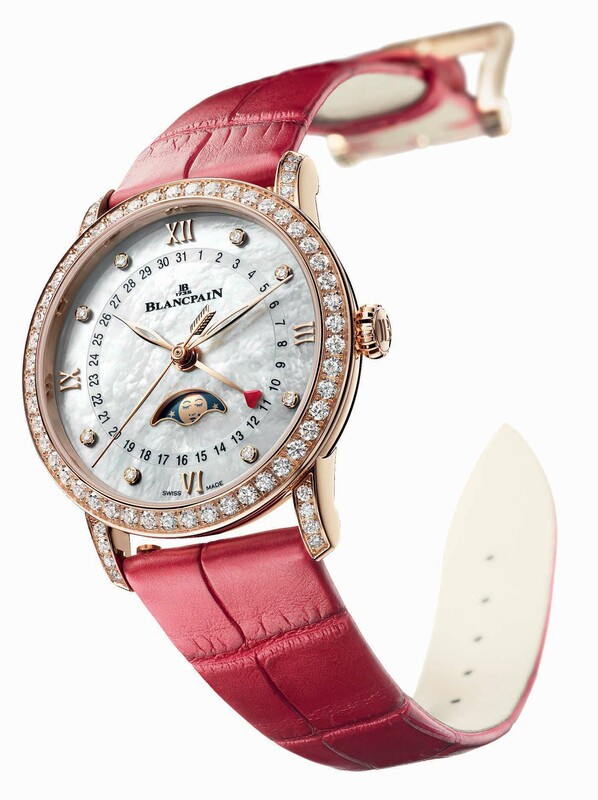 A limited edition of 99 pieces, the Blancpain Villeret Quantième Phases de Lune will retail for CHF 22,900. 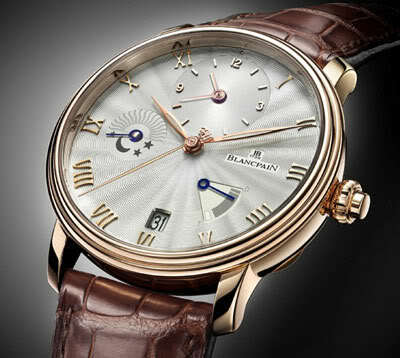 More details atwww.blancpain.com. A ladies Submariner or a jr. Datejust or even one of the Breitling Galactic would be a far better choice for my taste and price point.